Gate Episode 14: Well, That Escalated Quickly! 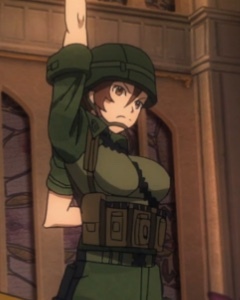 The 14th episode of Gate called The Imperial Capital Quake (the 2nd episode of the second season) gave Sergeant Shoni Kuribayashi a chance to show her hand to hand combat skills. And shot a lot. Like Rory Mercury? You can buy a wall scroll of her from Amazon! It was hard to see someone as strong as Pina Co Lada struggling with her fear. Capture from the Crunchyroll stream. An earthquake strikes the capital. The Japanese Self Defense Force (JSDF) are used to earthquakes in Japan, so they quickly evacuate their wards outside so they won’t be trapped in rubble. Princess Pina Co Lada and one of her knights are terrified. She’s stupefied when Yoji Itami and Koji Sugawara walk nearby as Itami tries to decide if this is a Richter Scale 4 or 5 quake. When Itami warns her to expect after shocks, she insists on warning her father, and she won’t leave without Itami, even though Itami is uneasy about being an enemy soldier appearing before the emperor. Once they reach the palace, they find it in disarray. Pina takes charge and brings order while her father, surprised she was the first of his children to arrive, watches. After she brings calm, the emperor asks who the strangers are, and she introduces Sugawara and the others as Japanese citizens who she’s brought because they understand earthquakes. The emperor and Sugawara begin a diplomatic conversation when Zorzal El Caesar arrives with his own warnings about the earthquakes — from Noriko, who was a Japanese citizen who Zorzal kidnapped — before the invasion! When Itami realizes Noriko was from Japan, and when he sees Zorzal kick her and mistreat her to convince her to tell the emperor about earthquakes, he snaps. He punches Zorzal so hard he falls to the ground. Pina’s horrified. She’s seeing all her work towards peace falling apart. When Sugawara demands the emperor explain, Zorzal tries to array his guards to kill the Japanese to teach Itami a lesson for attacking a prince. That’s when Itami turns Kuribayashi loose. She used her bayonet to disable part of the enemy troops, then used her rifle to dispatch the rest. It’s a really, really bad idea to kidnap Japanese citizens while the JSDF is on the case. Capture from the Crunchyroll stream. Itami takes the opportunity to ask Zorzal where the others are, since he mentioned Noriko was one of the survivors. 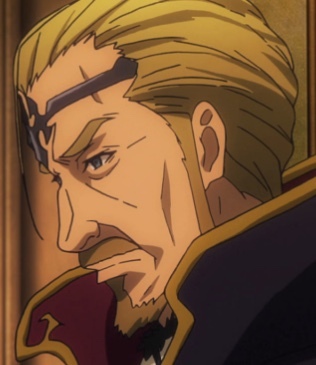 When he refuses to answer, Itami asks Kuribayashi to persuade him to talk. She doesn’t use her weapon. Instead, she uses martial arts to impress upon the prince that not only are their two technologies worlds apart; their abilities are, too. He ends up on his back again, this time with missing teeth and severe bruising. Itami asks again where the other Japanese are. Surprisingly, Tyuule places herself in front of the price and asks Itami not to kill him. Zorzal confesses that he sent the others to the slave market. Sugawara makes the Japanese citizens’ return a pre-requisite for further negotiations, and the emperor agrees to peace talks. The JSDF leaves with Noriko. Of course, the Japanese government cannot let a nation get away with kidnapping their citizens. When they’re sure it’s empty, they bomb the Imperial Senate and leave it in ruins. They hope the senate will understand the message. When the senate meets, they are indignant. They know the Japanese wanted peace. One of the senators reports that the emperor and his family provoked them by kidnapping Japanese citizens. The senators were aghast. They had no idea about that. Princess Pina, at peril to her reputation, tries to help the senators understand the Japanese perspective, including how they don’t even mistreat their prisoners. These ideas were far beyond the senator’s comprehension. Zorzal retires to his chambers, where he demands Tyuule bring him ice for his swelling. His brother, Diabo, visits, and Zorzal accuses him of maneuvering for the throne. Zorzal says that he’ll be the next emperor because his father knows between Zorzal and Diabo, Zorzal is the easier one to control. The emperor now understands he’ll need to step down to ensure peace with Japan. But even from the shadows, he intends to stay in control. Zorzal reveals that he knows he’s not intelligent; and that this trait has kept the emperor from torturing him to death. Zorzal orders Tyuule to release the Japanese who are still enslaved. The episode ends as Tuka Luna Marceau is still searching for her father. Itami, Sugawara, and the rest of the JSDF were blasé about the earthquake while the Special Region natives were unnerved. Poor Pina Co Lada tried to keep herself together, but she was clearly struggling. After the quake, Itami actually acted like a commanding officer. I hope his deployment in the Special Region’s not corrupting on him! The Princess struggled to contain herself as she watched her dreams of peace falter. Capture from the Crunchyroll stream. Pina Co Lada tried to be brave, but she didn’t want to go alone to see her father — she insisted that Itami go with her. I found it particularly touching when she put her hand on his forearm. Seeing an independent character like hers fighting her fear is touching. I like seeing character facing hardship and acting in spite of it. I was also happy that Itami and Sugawara consented to go with her. Pina immediately takes charge in the throne room. While everyone else was scared and unable to move, she brought order to the situation. Cool contrast to the previous scene! The emperor tells Pina that she’s become “bloody good.” She has no idea what he means; she thinks he’s saying she’s bleeding somewhere. I think this is another hint that the emperor has been watching Earth for a while. The series has portrayed Itami as a slacker, though there have been hints that when he gets “serious,” he’s peerless. He showed it in this episode. When he realized that Zorzal had kidnapped Noriko, Itami wasted no time in hitting the prince so hard he fell to the ground. It’s nice to see that Itami chooses to be peaceful and easy going until there’s a valid reason not to be. 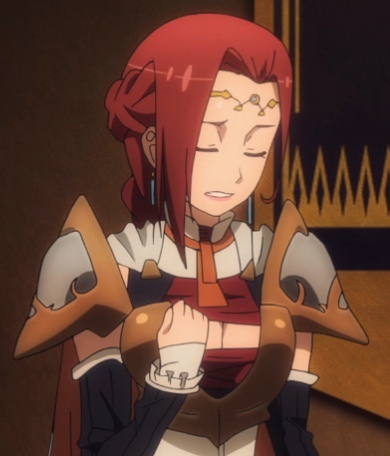 Noriko’s reaction when Kuribayashi cut her bonds — “I can go home?” — was effective and heart-breaking. Good, honest emotion. No hype, no wailing, no histrionics. Just someone who had been through a nightmare and could now go home. Noriko was dressed in rags. Sugawara draped his suit jacket around her shoulders. What a beautiful, human gesture! How did Itami react to Zorzal’s threat to kill him and all of his people? He looked slightly annoyed and ordered his two sergeants to fire at will. Itami didn’t indulge in vengeance or hyperbole. He just took care of business. Sergeant Akira Tomita tells Kuribayashi not to break another rifle. Unfazed, she tells him that depends on what the enemy does. I love relaxed banter between equals. We’ve known for the whole series that the JSDF’s technology is superior. What I really enjoyed about Kuribayashi’s rampage was that she didn’t use her rifle on the prince. Instead, she used martial arts and just pounded him into the ground. No fancy weapons. No technological advantage. Just better applied technique. Very cool scene. I particularly liked how, when she faced off with him, she only came up to his mid-chest; but that didn’t matter. She was faster and stronger, so he lost. After her performance, she could have slaughtered all of Zorzal’s men. Instead, she gave the ones who didn’t attack a chance to surrender. War is brutal and deadly. But she took the high road after she was sure the had gotten her message across. Horrifying? Yeah. But effective. The emperor seems to have a better understanding of his position after this episode. Capture from the Crunchyroll stream. When the emperor says he’s ready for peace talks, Sugawara says that he’s aware that many use periods of peace to prepare for the next way. He points out to the emperor that Earth’s long and bloody history far surpasses his world’s. I hope the emperor takes the lesson to heart. The Japanese government bombed the Imperial Senate as much to shore up their support among the Japanese public as anything else. 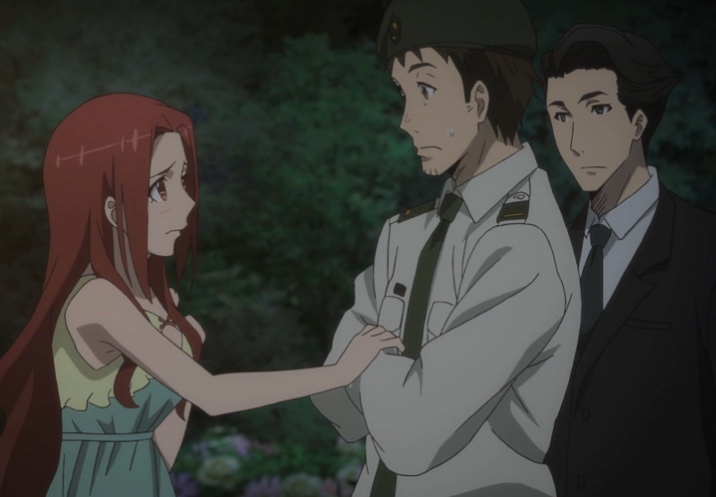 Gate’s doing a great job at portraying politics in a realistic — if someone depressing — way. I’m really curious to see what Tyuule is up to. In this episode, she defended Zorzal against Itami, and she seemed to be concerned about his injuries. That’s quite a contrast to the last episode. 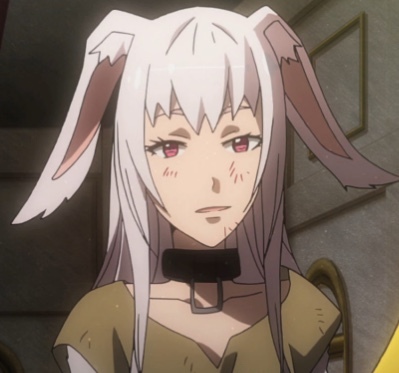 She’s an intriguing character. Not enough Rory Mercury. Alas! The action up until this point was fantastical. While the emperor’s army invading army met an expected fate at the hands of greater technology on Earth, the violence felt remote, almost like an after thought. Even the confrontation outside of the hot springs was primarily between Earth’s forces and Rory. In this episode, though, Itami and his sergeants brought the horrors of war to the emperor and his son. I think the experience forever changed them. I thoroughly enjoyed Kuribayashi’s technique. She used martial arts until she needed to escalate to her rifle; then, when that was effective, she offered to let the survivors surrender. Though I wish she would show a little more respect to Itami, I have to say that I really like her character! Not only that, but we got confirmation of hints that the emperor’s contingent had had contact with Earth before the the army’s incursion into Japan. Noriko and her friends had been kidnapped before the first episode of the first season. Was the kidnapping the first contact with Earth? Or are hints in names like Pina Co Lada and Tuka Luna Marceau indicative of an even longer cross-pollination between the two worlds? What is Tyuule up to? Why didn’t she leave when she had the chance? Capture from the Crunchyroll stream. What’s Tyuule’s plan? I expected her to claim asylum as Itami and his team rescued Noriko. Yet, she not only decided to stay, but to defend the prince who sexually abused her. Is this an example of the Stockholm Syndrome? An indication of a wider plan on her part? I’m interested in finding out. Last season, I looked forward to seeing scenes of Pina, Rory, or LeLei happy and interacting with Itami. This season is more realistic. The Empire brought war to Japan, and Japan responded. Though Itami has tried to maintain a friendship with Pina, the cost of her family’s involvement in the incursion are coming due. I felt sorry for her in this episode. She has tried so hard to bring peace. While Japan’s response to the kidnappings keeps the possibility of peace open, Pina had to witness again the power of the Japanese military. She seemed horrified, and I can’t say I blame her. Both episodes of the second season have been packed with action and plot development. I can’t wait for the next episode! Dimension W Episode 1: Wow, Gasoline is Expensive!